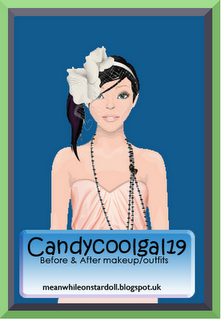 Here is Sweetwoman95's makeover. Next is Love-Dulce. Her original look is pretty but it is too simple. 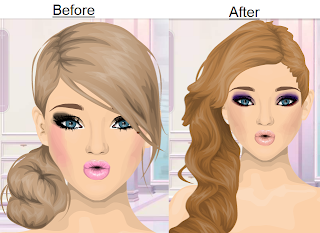 I used different shades of purple and changed the hair. Her original outfit is very sweet and is perfect for spring. I changed her outfit into one with neutrals, floral and black. This combination is very gorgeous and uses two famous trends.